Golden Money make monthly budget automatically. 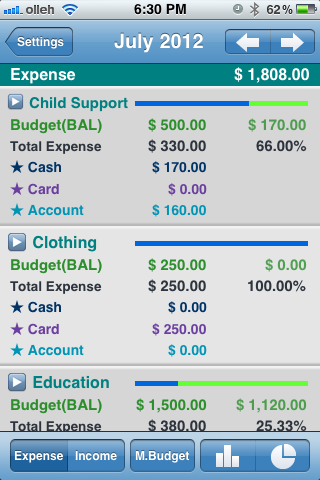 Once you set base budget, the monthly budget will be created with the base budget when first data of each month is inserted. 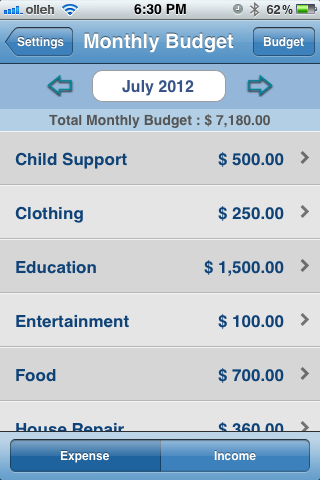 This is monthly budget list and you can change the budget in the detail view. This is Budget vs Expense. 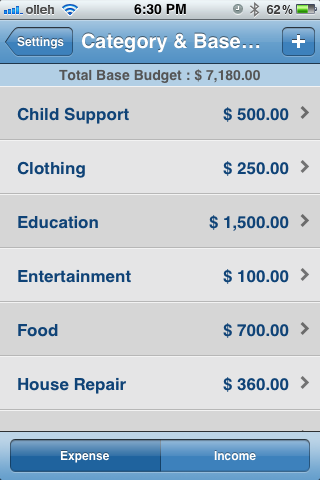 It shows monthly budget and income, expense, balance each month.